Dante sired a litter with a Canadian Champion in 2012 … here’s the little guy we brought home: Apsolutely FFT Tell Me No Lies a/k/a “Teller.” Like his sire before him, Teller has a mind of his own when it comes to the conformation ring and training classes. :::yawn::: Do we have to do the hair thing this morning, Mom?? 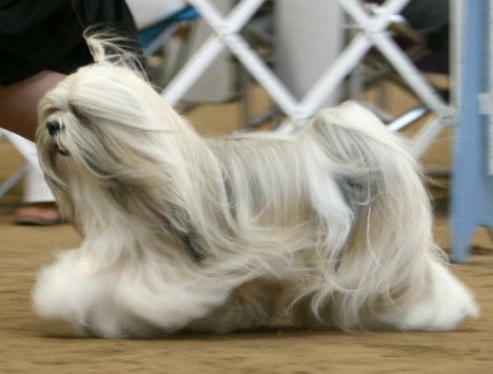 Update: Dante … despite his handler … managed to finish 12th in the breed in the nation for 2008. Not bad for his first year as a special!! 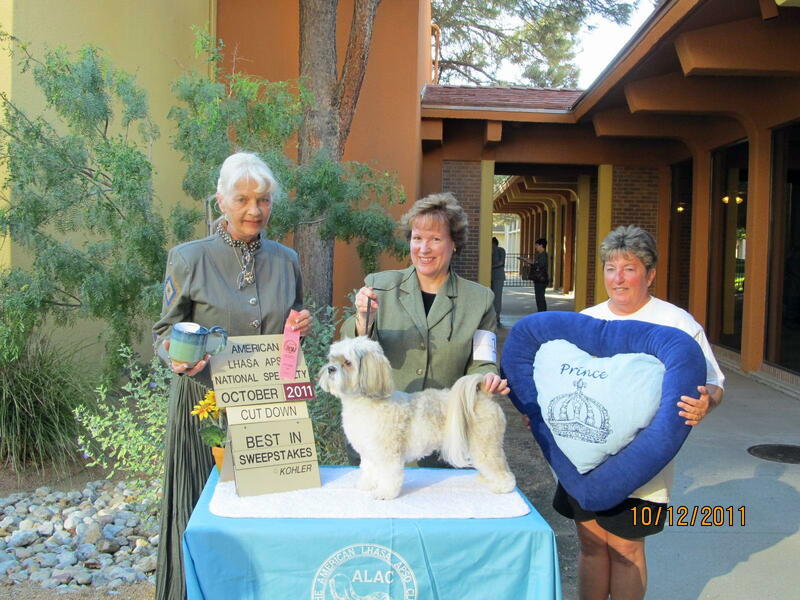 In October of 2011, Dante picked up Best of Breed in the first-ever American Lhasa Apso Club cut-down sweepstakes. We entered with the hope of him getting around the ring with no new behaviors thrown in for interest as he’d not been shown for about 18 months (he’s notorious for that). Dante did everything I asked of him … and then some! While this is Dante’s page, he’s not the only dog in our house. There’s also Ali, 12-years old, and Frankie, who is 9-years old. Above is a shot of Ali supervising a pot-planting day recently. She’s been in full coat most of her life, having the proper texture which makes it easy-care. She can literally go three weeks+ without a brushing … or a mat. One of the best coats I’ve ever seen on an Apso. She’s a dark red with a black overlay and tipping. Totally unflappable, she moves seamlessly from moment to moment, taking every thing and every activity in stride. Adopted as an adult at 2.5-years old, she’s been an apsolute joy all these years … my beautiful red girl. 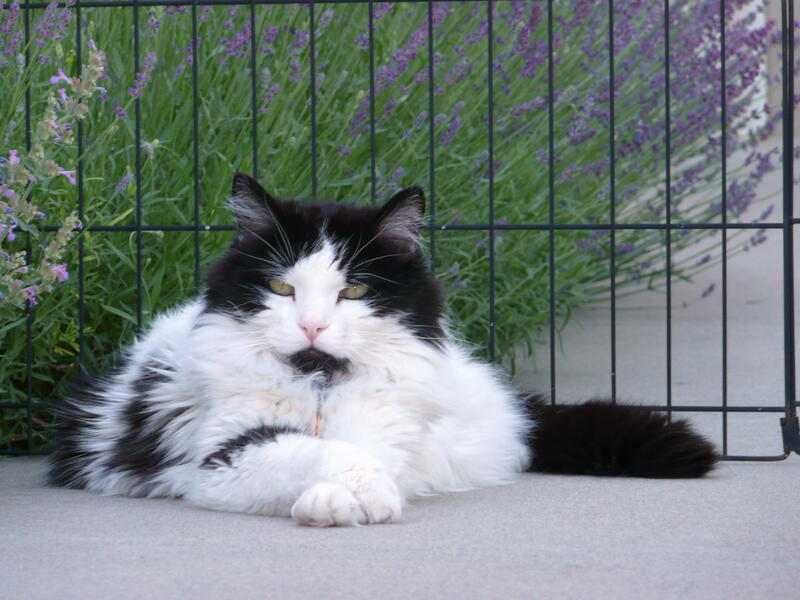 Update: Sadly, we lost Ali on March 21, 2011 at 13+ years old. While this isn’t the first Apso we’ve lost — and certainly won’t be the last — it has cut the deepest. And then there’s my little “yard guard,” Frankers, who takes his job quite seriously. Never know when a blackbird or a squirrel will need to be chased off the premises. Frankers was my first male dog … ever. He came to me as an 8-month old puppy and I was to home school him. Either I’m a really bad teacher or he’s a poor student because he never left. Actually, he’s a bright boy and about as sweet as they come … we just couldn’t let him go. My little velcro buddy. Want to know where Frankers is at? Just find Mom! you are such a cool lookin’ dude! 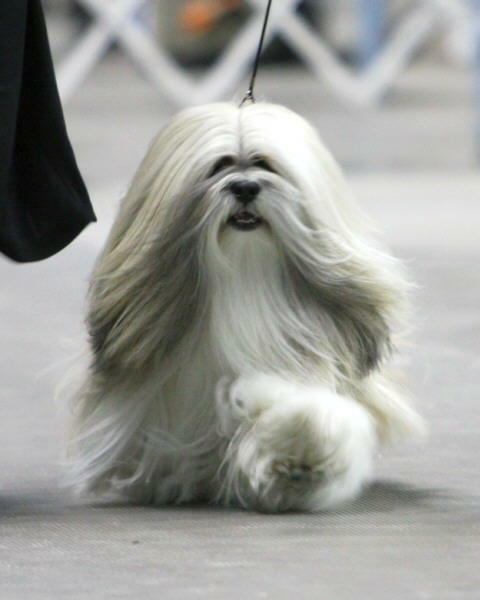 I bet all the lhasa dudettes just LOVE seeing you strut your stuff! Love the pics! Very well groomed – pups! The in the ring pictures are beautiful! Oh! not to cloud the spot light on Dante…But Ali is a very pretty lady herself! They are ALL gorgeous dogs! Congrats to Dante! Beautiful dogs! I have been so blessed to find little Winston (last summer ’10) – since they say Lhasos were only given as gifts in Tibet, I pretend that my Sheltie Austin, who will be 14 this year, provided me with Winston as a departing gift (hopefully not for a while yet, but 16 is usually the top). Winston, who was on a street corner, matted with fleas, and intact, is a wonderful addition to our home (after he was cleaned up and neutuered of course – lol). I am so excited to have found out about this great breed!!!! You red girl is beautiful. I am hoping that Winston in full length hair will stay unmatted….just have to wait and see. you are lucky to have such beautiful dogs, here in norway this dogs are so expensive so I can only afford one, but she’s my best friend, and I spend all of my time whith her. I live on a farm and she can run loose all the time. I have an shih tzu to, he needed a new home when he was 5 years old, and i couldn’t say no. I have a lot of space and plenty of time to spend whith them. I love this dogs and would do anything for them. care of all of you. Yes Kate, we have, indeed, been there a time or two. Glad to hear that BJ is doing well! Wishing you both “Lhasa” love and memories. How do I find a responsible breeder? Can you recommend one? or do you have adopting dogs. Live in Houston – shipping no problem on United. Lynn … I would suggest that you contact one of the breeders as noted on this map (click on the state) … http://www.lhasaapso.org/breeders/breedermap.html. Please also review this article as it outlines the hallmarks of a good breeder: https://apsorescue.files.wordpress.com/2014/07/ethical-v-byb.pdf. I loved reading about your Lhasa. I lost my 17 year old Solomon 2 months ago and miss him so much. I couldn’t believe how much he looked like your Dante. 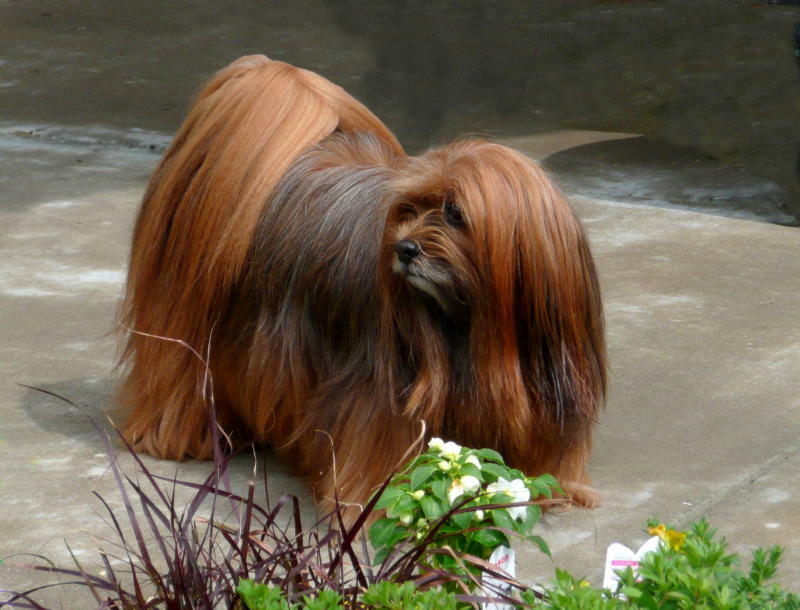 I am a 74 year old widow who would like to buy a pure bred Lhasa from an ethical and reputable breeder. I am on a wait list with just such a breeder for a puppy in the Spring of 2016 but saw your website and wondered about getting an older Lhasa that needs rescuing. I don’t know if you are involved in this area but thought I would ask. 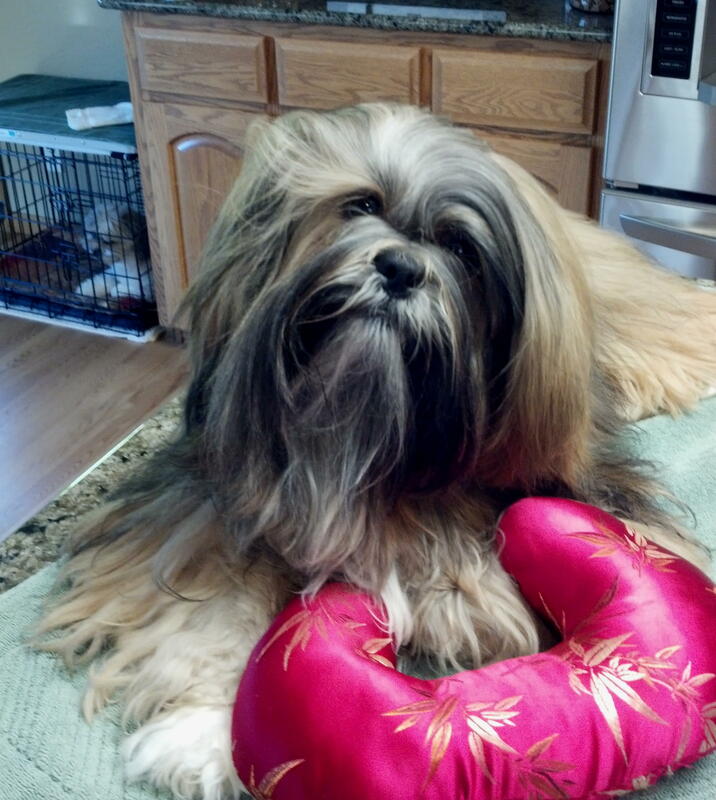 Your Dante looks like our first Lhasa Erin, and Ali looks like my Keely which I just lost a month ago and I miss her terrible ….. Maybe in the future we will get another Lhasa…. I would suggest you utilize Petfinder.com in your search … lots of dogs out there needing homes! A young female is going to be difficult to find as that’s a very popular request. I want to adopt the Lhasa apso dog puppy. Please kindly consider my request and help me.